1.5 5. Klotz Octane Booster 16 oz. 1.6 6. 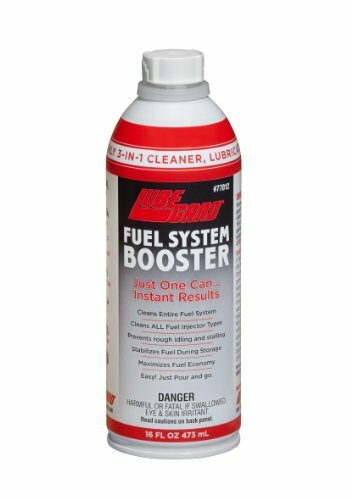 Lubegard 77012 Fuel System Octane Booster 16 oz. 1.7 7. 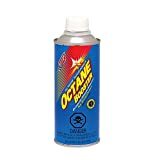 Royal Purple Octane Booster and Stabilizer – 16 oz. 1.8 8. 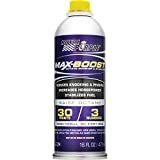 Berryman 1512 Octane Booster – 12 oz. 1.9 9. 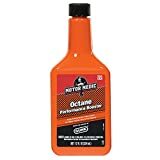 Motor Medic Octane Booster – 12 oz. 3 What is an Octane Booster? 3.1 What Are the Effects of an Octane Booster? 4 How Do Octane Boosters Work? 6 Do Octane Boosters Really Work? Most motorists don’t know but gasoline is very unstable if it’s left to sit for too long and the quality of the fuel varies a lot from station to station and from country to the country. 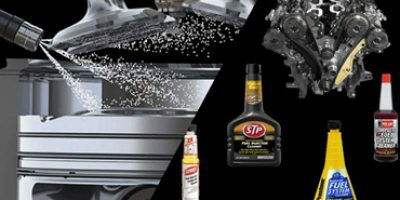 This can affect the modern car engines in lots of ways and often the differences in fuel quality and octane ratings can cause differences in fuel economy and power outputs. What is the solution to the problem of unstable and less powerful fuel – the octane boosters? Octane boosters are a chemical formula which is added to the fuel and stabilizes the fuel giving him the higher octane rating in order to maximize the potential of the engine and prevent any potential mechanical problems. Follow our best octane booster reviews, buying guide and “how to“ article in order to learn all there is on octane boosters and find the right choice to suit the needs of your car. DIMENSION : 4.2 x 7.5 x 11"
DIMENSION : 10.5 x 10.4 x 7.8"
DIMENSION : 2.8 x 2.8 x 9.5"
DIMENSION : 2.3 x 1.4 x 7.9"
DIMENSION : 7.5 x 2.8 x 2.8"
If you are Reading this, then you probably have engine problems or you want to prevent them. 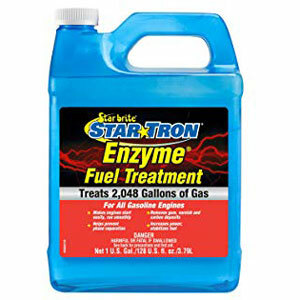 Star Tron Enzyme Fuel Treatment will help your engine start so smoothly, that you will not even hear a sound. You don’t need to worry if your car runs on ethanol-blended fuel, this magical liquid helps all engines start the easiest way possible. The averting of ethanol fuel problems will be so much easier now. By decomposing the sludge and the excess water to a submicroscopic size, this Star Tron Enzyme Fuel Treatment Concentrate helps it to be, without any problem, burned away when the engine is operating normally. This is so cool because it averts phase separation. Those are not the only advantages this Concentrate has to offer. 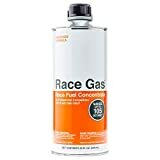 It not only cleanses the whole fuel delivery system and thus enhancing the fuel economy, but is also the perfect choice to remove performance-robbing carbon deposits, prevent the formation of gums and all other solids that will definitely clog your carburetor or fuel injector. This product is not at all expensive and at the same time you can use it in cars, motorcycles, automobiles, snowmobiles, gas outboards, pretty much everything that has an engine! It is completely safe and even overdosing is not going to do any harm. This particular octane booster is by far one of the most effective octane boosters that you can see on the market right now. The best part is it costs less than most of the boosters that you will find. This Lucas Oil 100026-PK12 Octane Booster is able to give you more enhancement that you have ever imagined. It is of no threat to catalytic converters, oxygen sensors, turbos, and any gasoline engine. Not only that, but it will most surely help you keep the environment clean by promoting clean fuel burn and therefore generating fewer emissions – nature first, right?! If you want to raise the performance of your engine and amaze people with the power and torque you are going to get from the improved headers, coils and spark plugs, this is your product! You can use the Lucas Oils booster in fuel injected and carbureted engines for it is suitable even for them. Another pretty cool part is that it is sold in case packs of 12. One 15 oz. bottle can be used for up to 25 gallons of fuel. Lucas Oil 10026-PK12 Octane Booster is a true performance increaser that will save you money, time and effort. Now the name of this product completely describes all the things it can do… it is simply Blue Magic! Also one of the best Octane Boosters on the market nowadays, this powerful liquid eliminates engine stalling, knock and hesitation so well that you will feel as if you are in a completely new car. If your vehicle has a gasoline engine, you should not be worried about it is totally safe. There is also not a chance that this Octane Boost will harm catalytic converters or sensors. The anti-knock effectiveness of your car will be increased and the lost horsepower restored. Of course, the situation is not all roses as there are no instructions for how to mix the Blue Magic NA30-12PK Turbo 108 Octane Boost with gas to achieve a certain octane increase. It is also hard to find info on the internet on how to actually use this product safely and efficiently to attain the so-called “octane boost”. This means you have to have some knowledge on the subject. 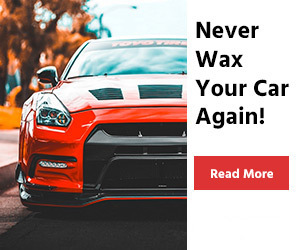 There is no doubt, though, that if you choose this product your car will idle smoother and you will be able to feel the power when hitting the gas. The product comes in case packs of 12 and one bottle safely does 13 gallons. 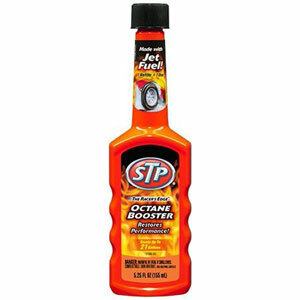 STP Octane booster is a totally economical way to boost the octane in your motorcycle, car, truck or whatever it is that you are driving and has an engine. With this product, you are getting true two-for-one benefits with the clean fuel intake system and the great boost of octane that you will get. The coolest thing about it is that it is way less expensive than buying premium fuel which may not even help with the cleaning. This two-in-one formula boost will restore the acceleration and the power of your vehicle and also diminish the knocking and pinging. All of your friends will be jealous while you are driving a car that you can’t even recognize anymore. It is suitable for cap-less gas systems. With this reasonable price, you will succeed in maintaining the speed well even in traffic. It is no brainer that every person on this planet that wants and is able to take advantage of the added octane, must have this product. The only drawback that we were able to find is that it is unknown how many points of octane it actually adds. However, it comes in case packs of 12 and the front of the container states that it treats up to 21 gallons. 5. Klotz Octane Booster 16 oz. Affordable price and compact package are the main characteristics of Klotz octane booster. It’s concentrated tetraethyl lead substitute formulated to increase the octane rating. The manufacturers suggest that this product will eliminate engine damaging detonation, spark knock, pre-ignition, and ping from low-octane gasoline and it helps the burn speed and flashes point of gasoline to create a stable combustion chamber flame front, maximizing performance, and power. This is an octane booster without any fuel stabilization characteristic so potential buyer should know that. The users reported no issues with Klotz octane booster and also reported that the customers are satisfied with its performance delivering on the promise. It is recommended product mainly because of its price and specifications. 6. 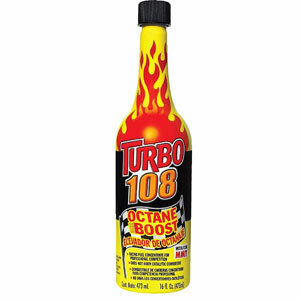 Lubegard 77012 Fuel System Octane Booster 16 oz. Another affordable product with good specifications is Lubegard 77012 which can be used on all engine types and on gasoline and diesel powered engines. This is 3 in 1 type of product and it combines fuel system cleaner with octane booster and fuel stabilization fluid. Nice concept but we are little suspicious about its performance since those are three different kinds of chemical compounds and combining it in one is hard to believe although user experience is generally positive. 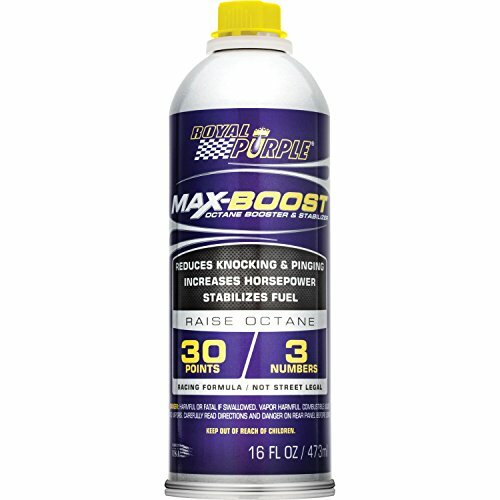 The manufacturer suggests it contains a unique proprietary polyether amine (PEA) detergent technology, the most effective chemistry for total fuel system clean-up that outperforms competitors. The proprietary FLA additive provides lubrication of fuel pumps and injectors and stabilizes the fuel during storage. However, for this price you should give it a try. 7. Royal Purple Octane Booster and Stabilizer – 16 oz. Another multitalented product is Royal Purple’s 11757 which is octane booster and fuel stabilizer in the same time and it comes in affordable and compact package with good manufacturer’s reputation. It has a formula that replaces lead additives for protection of non-hardened valve seats which is good to know since it protects the heads of the engine and makes them last longer without repairs. It raises octane rating up to 30 points or 3 numbers and restores power and fuel economy while cleaning deposits from fuel injectors. It is designed to work with the engines equipped with carburetors, port fuel injection, and direct injection, as well as turbocharged, supercharged and nitrous injected engines. Safe for use in leaded and unleaded gasoline’s, and alternate fuels like gasohol, reformulated gasoline, and all ethanol blends. We recommend this product since it is even protective against phosphorus poisoning of catalytic converters. 8. Berryman 1512 Octane Booster – 12 oz. The Berryman’s 1512 octane booster is affordable and recommended product which features MMT to increase the octane value of all grades of conventional and reformulated gasoline. It also helps prevent rough idle, stalling, after-run, knock and ping and catalytic converter and oxygen sensor safe. It is also designed for all types of engines, gasoline and diesel powered. The compact package, good specifications, and user reviews help us recommend this product with confidence and it has proven itself in various applications not only with regular cars but with some high-performance models as well. 9. Motor Medic Octane Booster – 12 oz. The Motor Medic by Gunk is really cheap octane booster fluid which comes in a small package and has two main purposes. One is boosting of octane level in the fuel and other is cleaning the combustion chamber and fuel system. There is no fuel stabilization formula with this product and users reported that the Motor Medic works really well in many cases in low performance as well as high-performance vehicles. Very cheap price and good reputation are enough for us to recommend this product the for use not only in the car but even for some machines such as lawnmowers or jet skies. For advanced users and people that need high octane fuel for their race cars, high-powered boats or small airplanes there is specific octane booster which helps bring the RON number of pump gas to 100 or 105 RON in order for high-performance engines to work properly. Laboratory proved to raise the octane, chemical energy and oxygen of pump gas to equal race fuel. Will not harm catalytic converters, O2 sensors or fuel system components and does not contain alcohol. It is a little pricier than the regular octane booster but then again you do get a 100 to 105 RON fuel which is very in demand and high-performance machines could not operate without it so it is well worth the price. There are only a couple of tips on buying an octane booster and it is relatively easy to find the right one for your car. The octane booster is not some magical addition to your fuel which will make your car fly so don’t get fooled by ads and promises. The octane boosters on the marked added 5% more octane values to your fuel and that is the highest amount there is. The average is around 3% improvement over existing RON rating. But that is enough to prevent the engine from knocking. You will get a slightly better performance of your car but nothing significant and noticeable. On the other hand, what you will note is that your engine will work smoothly and fuel economy will be better. In some cases, the throttle response will be better also. Different engines have different specifications and use different fuel ratings. If you have a small, low-performance engine which is not high revving unit mostly you do not need an octane booster but if you got a big, high-performance engine and high engine, octane booster is very important. The higher the octane value is the more you need the octane boosters to keep it on the wanted level. Well, if you are reading this you probably have decided that you want to buy one of these power additives. But before that, we want to help you choose the perfect one for you and your vehicle. There are a lot of different factors you most definitely have to consider before buying an octane booster. One of the most important factors is the performance. You need to be aware of how the octane booster you consider buying will boost the octane levels in your automobile, motorcycle, etc. As much as we would like to help you here, you will need to read a lot of books and articles, ask people from your surrounding and understand that different brands will offer different results, which most of the time are not true. Almost every person nowadays is on a budget. If so, keep in mind that sometimes trying to save some money is not the best decision. Buying the cheapest octane booster may not only be of no use for your car but may also cause some major damage to it. Of course, there are a lot of products that have added costs without being a good quality product. That’s why, as we already said, next time you invite a guest over, ask some questions, see if anyone could give you some advice on what the best octane booster is, coming from experience. This market is really harsh on the buyer for there is no specific cost range for the products. You can find a bottle of octane booster that very little and then at the next store you can find a bottle that costs 4 times as much. The cool thing is that a lot of the manufacturers give you the chance to purchase more than one bottle at a time. Most of the products on the Internet come in case packs of 12 and therefore there is some conduction in the price. The moment you decide on a booster, you will have to think about the size you want. This goes hand in hand with the fact that you also need to know how often you need to use it. Larger containers and multi-packs will save you some money because as we all know the frequency in which you use the booster will affect your wallet. Compatibility is probably the most important factor you need to think about. Different octane boosters work with different cars. The engine you have dictates the choice you need to make when buying an octane booster. You have to make sure that the booster you are going to purchase is suitable for the type of engine you want to make more powerful. The best part here is that this is not a difficult task and you can relax. Most of the octane boosters work for a different range of engines. The easiest thing to do is to buy one that is compatible with almost every engine. Just make sure that yours is included. We would like to give you some important tips to consider when buying an octane booster. The first and most important thing is not to expect a totally new car. Most of the advertisement you are going to see is total deceit. Five. That is the percent that the best quality octane booster can raise your octane values by. You will also be able to see the change in the engine knocking with the average boosters that will raise it by three percent. Everything else, though, is probably a huge lie. Miracles will not happen. You can’t expect some old wreck to turn into a Lamborghini. But you can expect that your gas mileage will be a lot better and your engine will work smoothly. Different engines have different specs, therefore different fuel ratings as well. The benefits from an octane booster will not be many if you are using a low-performance engine. But if your car has a high-performance engine the situation is a lot more different. The octane levels are of great importance to the overall performance of the engine. Let’s say that you are devoted to the goal of improving the performance of your engine. Then you should definitely know that there are also fuel stabilizers that could help you reach this goal. You must not confuse them as they do different things for your vehicle. As we know, when gasoline has been sitting a long time it would normally have some kind of failure. The contaminants and impurities formed by the gasoline may reach your engine. Well, the fuel stabilizers will help you prevent that. They use antioxidants to keep the excellent condition of the vehicle. Octane boosters, on the other hand, resist abnormalities that could appear. For example, engine knocking which is an issue caused by low octane levels. Low gas mileage is also such an issue. So we simply have to increase the octane rating in the fuel of the vehicle to avoid them. You need to be sure that the cylinder is igniting when it is supposed to and higher octane levels will do so. Don’t look so scared now, our team is sure that you will be able to find the perfect decision for your car. Theoretically speaking both of these additives will do you good. But if you drive your car almost every day then you need octane booster and nothing else. We really hope that this information will steer you in the right direction. Skimping to much may not be the best option. You need to look at all the opportunities you have, consider the type of engine your vehicle has and see if the octane booster you have chosen is suitable for your vehicle. Then, of course, you need to know exactly how to use octane boosters, so don’t stop reading! The purpose of an octane booster is to increase the octane rating of the fuel, to stabilize it and by doing so to make the performance of the engine better. 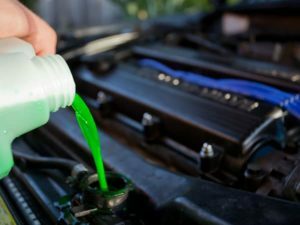 It is a chemical additive that will also help you prevent engine failure or any other problem connected to the engine. It pretty much always comes in a bright- colored bottle that you cannot miss or confuse with anything else. The active ingredient of the quality octane boosters is methylcyclopentadienyl manganese tricarbonyl (MMT). For the people that care about the environment- do not worry! It is eco-friendly and does not harm emission control devices. It is known that by raising octane in certain types of engines you will make their effectiveness better and increase their power. However, not many people know that this is one hundred percent true only for high compression engines. So if you have a sports car, race car or even performance car this is a perfect decision for you. The situation is slightly different, though, when we talk about normal, average cars. There are a lot of factors that can influence the performance of your vehicle. Most vehicles have specific octane ratings given to you by the manufacturer, so adding an octane booster to the fuel of an average car may not be the best idea. Such a car will find it hard to run on higher octane fuels because its purpose is not generating more power. Though the engine and the other systems in your not-so-powerful car may be gauged to work with gas in a specific octane range, it is not impossible to use an octane booster. A lot of people do it and they are happy with the outcome. What Are the Effects of an Octane Booster? The effects of an Octane Booster are so many that we don’t even know where to start. First, and most important, you need to be sure that you have chosen the right one and that your car is suitable for the usage of such a thing. Let’s not rush things, though. We will talk about this a little bit later, now let us give you some important information on the effect of this magical liquid. 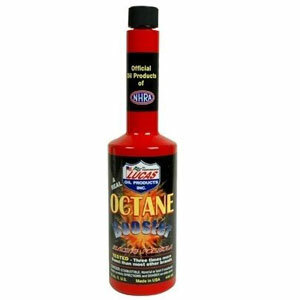 Octane boosters improve the power of your engine for they increase the level of octane in petrol fuel. That results in better fuel efficiency, something that every driver wants. The anti-knock additives that the octane boosters utilize are also one of the reasons why your engine is running so smoothly. Every product adds a different amount of octane to your car. The best results, of course, are shown from the highest-quality premium octane boosters. The Octane Booster does not only make your car faster but by that, they eliminate engine stalling, knock and hesitation. The good eminence your vehicle will have is due to the fact that the octane has a great effect on petroleum. The Octane boosters help for the perfect performance of your car in the output power. Therefore, you have to choose your octane wisely. In order to explain to you how the octane boosters work we first must explain what is the octane index and what does it mean. The octane number is basically the measure of performance of the fuel. The higher the octane number, the better and it means that the fuel can withstand more compression before detonating inside the cylinder chambers. Modern gasoline powered vehicles use fuel with octane ratings of 91 RON (Research Octane Number), 95 RON and 98 RON. 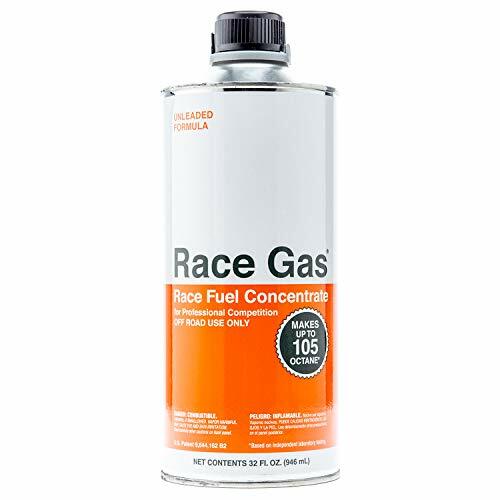 There is also a 100 RON fuel but it is the high-performance type of fuel which is suited for race cars and similar machines and is not for wide use in regular passenger cars. Since this standard fuel types are common for decades, all manufacturers produce vehicles according to these standards. However, the problems are when the fuel is not up to the standards and it has less than 91 RON index. It can happen for various reasons. Bad mixture straight from the oil refinery, water in the fuel or some chemical instability from long-term sitting in the barrel. In any case, fuel with less RON than can cause engine problems, most notably engine knocking. If the disbalance of engine specifications and fuel used is big, the engine knocking can be severe and cause big damage. Most modern engines have a knock sensor a device that monitors the quality of the fuel and alters engine management specifications in order to avoid engine knocking. However, despite this engine will be under stress and perform less than it should with higher fuel economy if you use weak fuel with insufficient octane number. In this case, octane booster is needed and it brings the RON octane index to the wanted level ensuring that the engine will work properly without fear of engine knocking, loss of performance or the high fuel economy. Some of the octane boosters on the market have a fuel stabilizer function which means that they will keep fuel stable and up to standards for long periods of time since the fuel itself will lose some its characteristics after sitting for more than a month in a tank or a barrel. Using an octane booster is very simple and similar to the use of fuel injectors cleaning fluid. Just add the contents of the bottle to your tank and that is it. Identify the octane level that suits your vehicle. You could do that by checking out the owner’s manual or just look underneath the gas cap. This will help you find out what octane grade fuel is best for your vehicle. Often times, cars tend to underperform if you don’t meet these octane levels. If you exceed this number, you will also not get the best results and your car will probably underperform again. That is the reason why you need to know exactly how much booster your vehicle needs! Choosing the Right Octane Booster is of great importance. This is where all the things we talked about come in handy. You need to consider price, quantity, quality and of course, read some reviews and ask people for opinions. It is important to know the booster you have chosen to the smallest detail. Does it contain high-quality MMT? Is it suitable for my car? Those questions that you should ask yourself are important because you never know if an octane booster has the potential to ruin your paint job, for example. And no, that is not a joke, most of the octane boosters can do that if just a drop is spilled on your vehicle during the fill-up. The fact that an octane booster may or may not be street legal, is also really important. If you already have bought an octane booster, figuring out the right mixture is the next step you should take. The first thing you need to do is pour the booster into the gas tank. Only after that should you add the fuel. Don’t forget to read the back of the bottle so that you would know exactly how much octane booster you need to pour. This way you will be sure that the booster and the gas will mix perfectly and you will reach the maximum potential. Once you have poured the booster in the tank the only thing you need to do is add the regular gas. You just need to remember that your octane level consists of the octane number of the gas you are buying plus the octane number ups your level that the octane booster offers. So, hypothetically speaking if you are buying a 95 gas and you add a booster that increases it by 5, your level will be 100. If your car is more powerful and needs a higher octane level, you need to know that higher octane gas burns more slowly. That’s why your engine is less likely to knock. You must use the booster within a year if you want to know what the best performance of the product is. If not, at least make sure that you store it in good conditions, such as its original container. Some boosters are light-sensitive, that’s why the original container is of such great importance. Not only that but also there are important instructions written on the back of the bottle so you shouldn’t throw it away! Leaving the octane booster in your tank for long periods of time is not a good idea! When you buy a booster it is better if you use them as fast as you can. That is why larger containers are not always the best decision. They will save you money but if they are ethanol based and sit in your trunk, in time, they may cause you problems. Why ethanol? It’s simple- ethanol is not as efficient as other types of gasoline. It burns more slowly and therefore causes a slight decrease in power. Over time this may become even worse. So, our advice to you is to consider what you will need in the short term and buy only that amount. Do Octane Boosters Really Work? As we said by using Octane Boosters you will make your engine more powerful and help it run smoothly. However, if you are wondering if it really works or someone has already told you that it doesn’t, you need to ask your friend what type of car they drive. If you have a modern car with turbo-charged engines, for example, you will most surely see some great improvements in the power of your engine. Cars built to run on 98+ octane fuel will have better performance and improvement in fuel consumption. So yes, Octane Boosters do work, if you have chosen the right one, and if your car is not a total wreck. Another thing that you have to do if you want your booster to work is to make sure that your vehicle is well maintained at all times. It isn’t all bad news for you if, let’s say, you don’t have a sports car but you still want to try this. You just need to keep in mind that a lot of the boosters will not raise the octane levels by an adequate amount to be efficient. That’s why some people will say that using quality premium gas is a lot more useful to the performance of your engine. You need to be careful with the type of booster you are buying. The typical small bottles you can find in auto parts stores or servos are a sham. They will probably not work and have no effect at all or they will clog the injectors and even damage the motor. To truly understand the benefits of this type of product you need to know how exactly does it work. The biggest benefit of octane boosters is the improvement of horsepower. This is possible because the liquid raises the compression ratio from the car. If your knowledge on this subject is not so impressive let us explain to you what does that mean. This is the amount of stroke that the cylinder in your vehicle makes before the fuel ignition. If we think about it carefully we can come to the conclusion that if the compression ratio that the engine needs are high, so is the required octane level. Now that the power of the octane booster is revealed you know exactly how they enhance your gasoline octane. In conclusion, we could say that the greatest benefit of using octane boosters is the fact that your car will be faster and your engine more powerful. You will also reduce emissions, save fuel and probably some money. As many as the benefits are, there are also disadvantages. 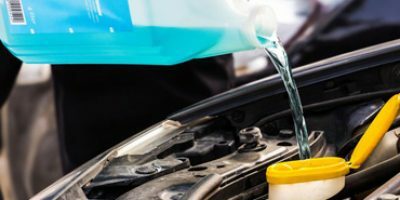 You should be really careful when you choose your product as it recently has been discovered that certain products on the market right now use several additives and chemicals that are not good for your car. Quite the opposite, they may even make your situation worse. So don’t be a scrooge, spend a few bucks more but stay untroubled with your car. Make a good investment! $$ 7.5 x 2.8 x 2.8" 1.1 pounds 16 oz. $ 2.6 x 2.6 x 7.7" 1.1 pounds 16 oz. $ 8 x 2.4 x 2.3" 1.1 pounds 16 oz. $ 12 x 5 x 4" 13.4 ounces 12 oz. $ 1.7 x 3.3 x 8.3" 12.5 ounces 12 oz. $$$ 3.2 x 3.2 x 9" 1.9 pounds 32 oz. 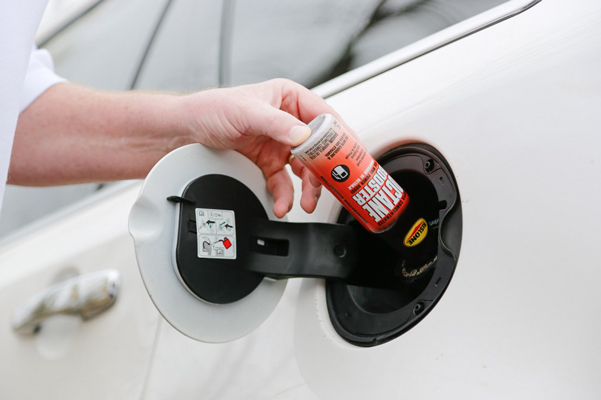 The octane booster is a simple yet effective car care product which helps balance octane ratings of your fuel for best performance and longer life of your engine. Don’t forget to check the top-rated engine degreasers to protect the heart of your vehicle. However, there are few things you should know before choosing the octane booster and this is why you should read our buying guide and explanation article as well as our octane booster reviews. So, you can learn all there is to the topic of octane and find the best octane booster for you and your car.